Interesting fact about the business: During season, up to four tractor-trailers each loaded with 30,000 pounds of frozen shrimp (ready for consumption) leave the plant per day to make deliveries across the country. When two well-established seafood families join forces, great things are bound to happen. Biloxi Freezing & Processing Inc./M&M Processing, is guided by a lineage that brings a combined 175 years of experience to the industry through the seafood legacies of the Suarez/McLendon and Mavar families. Prior to 2006, the two companies were separate. M & M Shrimp Company had grown to become one of Biloxi Freezing & Processing’s largest customers. As a great business relationship grew into one of mutual friendship and respect, they decided to merge and become one company, with more capabilities and a stronger competitive advantage in the market. Known as the “coolest guys in town,” third-generation President, Mark Mavar and Vice President, Jonathan McLendon are not only “cool” but embody a new generation of cutting-edge shrimp processors. They are smart, innovative and growing at a rapid pace. In their 20,000 square foot processing facility, pioneered the use of optical laser sorting machines in the U.S. shrimp industry. They have worked with the suppliers to make all processes faster and more efficient. Over the past 10 years the company has tripled production, and they look to increase another 25% over the next five years. Beyond the technology and ever-improving processes, quality is the operative word at Biloxi Freezing/M & M Processing. A banner inside the processing facility hangs where everyone can see it, “A Quality Product is Our Goal Every Day.” The wild-caught Gulf shrimp processed at the facility are packed to give customers true net weights, counts, uniformity and color consistency. Jonathan’s roots go back to his great grandfather, Joseph Suarez, who opened Suarez Seafood in 1927 at 408 Lee Street in Biloxi. The retail market offered oysters, crabs, fish and shrimp, and back then there was a lot of bartering, such as an exchange of flour or milk for fresh fish. After high school and a short stint in the Navy, Mr. Joe returned to the coast to take over the family business. When a hurricane took the building in 1947, he built it again and focused only on oysters. When Camille hit in 1969, he came back yet again, but this time, he transitioned the focus of the company to unload shrimp boats right off the bayou next to his operation that he named M&M Shrimp Company. Mr. Joe passed away in 2001 at the age of 73. This man loved the shrimp business. The day before he passed away in his sleep, he was up at the plant working. He always said he wouldn’t quit working until the day he died. About a year later Jonathan stepped in and took over operations. Mr. Joe had a great impact on Mark as well. 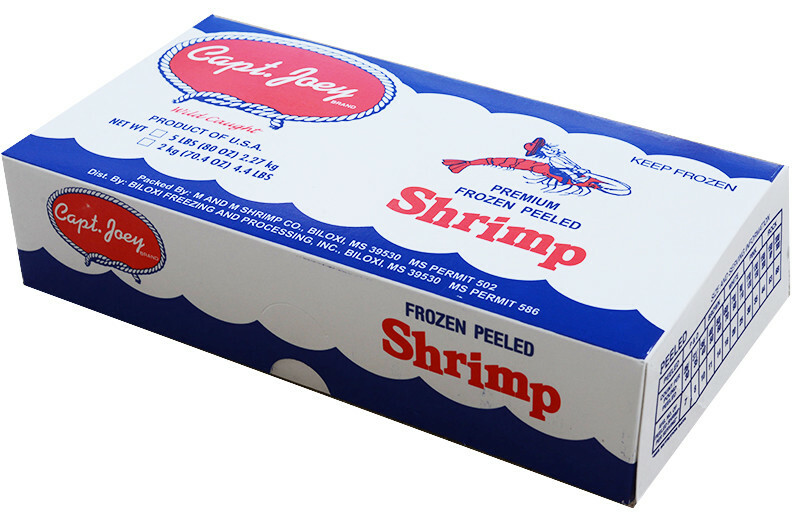 In 1995, Mark decided to follow in the footsteps of his family’s strong relationship with the seafood industry by purchasing Biloxi Freezing, which at that time, operated as a specialty business that hand-peeled and headed shrimp for other clients in town, but mostly froze shrimp for Mr. Joe’s business. Mark also grew up in the seafood business, so learning the ropes wasn’t exactly new for him, but he appreciated Mr. Joe’s “hands on” approach, and his passion for honesty and a quality product, much like his father, Victor Mavar, and his grandfather, John Mavar Sr. The Mavar seafood legacy began when John emigrated to Biloxi from Croatia in 1898 and later became a deckhand on schooners, while his wife, Olivia Skrmetta, ran a grocery store. By 1926, he owned his own boat, was an experienced commercial fisherman, and had saved enough money to buy a small piece of property on the beach to unload boats, which eventually led to the successful entrepreneurial venture of Mavar Shrimp & Oyster Company. Victor and his brothers followed their father into the business, and at one point, it was the largest canner of shrimp and oysters in the Gulf of Mexico. However, as refrigeration and freezers were introduced in homes, the need for canning seafood significantly declined. After some innovative thinking, in 1961, the Mavars continued to utilize the canning equipment by transitioning into the cat food business under the Kozy Kitten label until the company was sold in 1987. When Hurricane Katrina hit in 2005, it devastated the Mississippi Gulf Coast. But, as fate would have it, a silver lining was found when Katrina created an opportunity for Biloxi Freezing and M&M Shrimp Company to merge and moved forward as one profitable company founded on nearly two centuries of experience.